Co-hosted by Intel Corporation’s Johan Jervøe, will.i.a.m will lead the IBC2012 Convention keynote. Titled ’Creativity and Technology Forces Combine – Transcend the Barriers of Convention and Rethink What Can Be Achieved’, this thought-provoking session will examine the role of technology in the creative process. Illustrated with personal stories and illustrations from their careers, it will show how the application of new technology can be a catalyst for new thinking and positive change and be key to surmounting barriers. 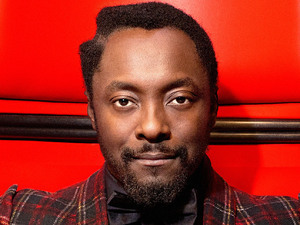 Engaging his fans via social media while on tour, or starring in top-rated television programs, will.i.am is an adept user of social media tools. In today’s multi-screen viewing environment, broadcasters need to embrace current and evolving communications and community building tools to build, connect with and retain audiences. As a musician, producer, director and advocate for STEM (science, technology, engineering, mathematics) education, will.i.am is an enthusiastic user of technologies in both his professional and personal lives. In recognition of his ability to harness technology to enhance entertainment, creativity and communication, Intel Corporation appointed will as Director of Creative Innovation in January, 2011. In this unique role, he collaborates with Intel scientists, programmers and marketing team members on a company-wide basis to innovate and promote inspiring content, technology and hardware strategies. Co-host Johan Jervøe is vice president of the Sales and Marketing Group and director of Partner Marketing for Intel Corporation. The Partner Marketing team at Intel is responsible for innovative co-marketing relationships and programs such as the links with will and other people and organisations (such as The Creators Project partnership with Vice Magazine). Partner Marketing also engages with a series of major brands and media partners like Facebook, Google, and DreamWorks Animation. Jervøe is also co-author of the Manual of International Marketing. This keynote promises to provoke and challenge while offering a unique and fascinating insight into the creative process that inspires one of today’s best known and most successful artists.